I love the grainy, nutty taste of hummus. It is one of my favorite snacks. But my husband, not so much. I don’t know why, but I continually try to make him like hummus, experimenting with different flavors. For my last girls night, I made this edamame hummus as an appetizer. It is Mediterranean with an East Asian flare. I love it and it was well received by my guests. 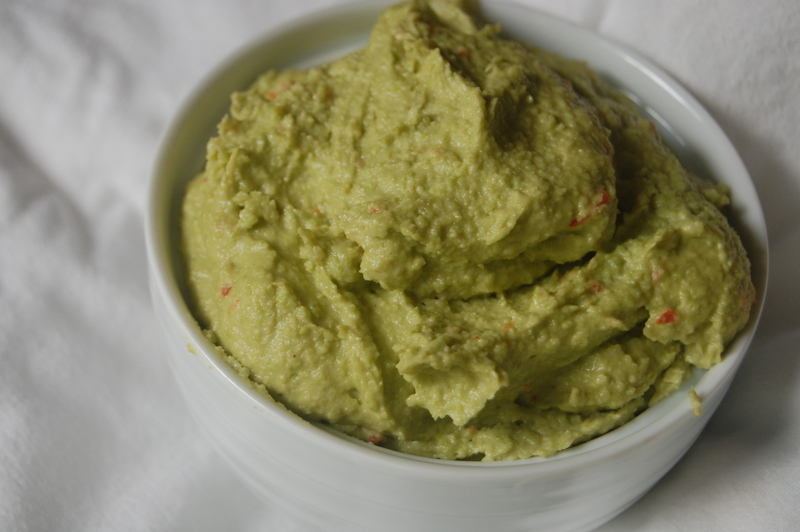 My husband liked it more than regular hummus…a big improvement! 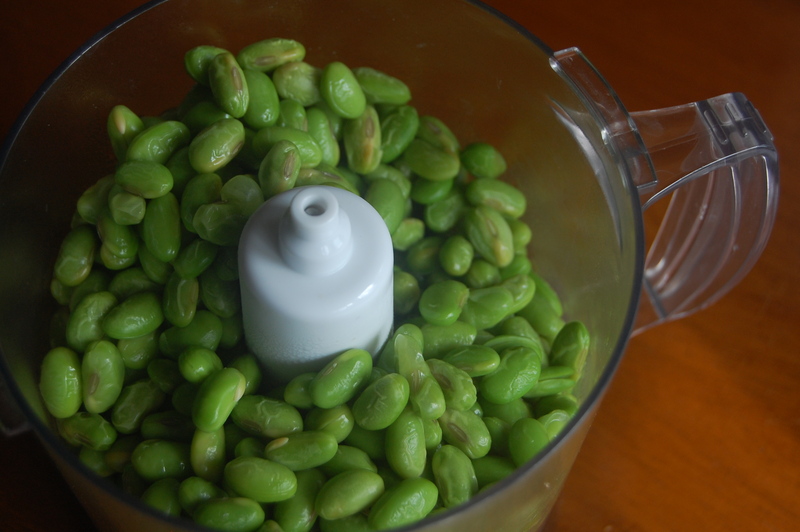 Place steamed edamame in food processor. Blend until smooth. Add garlic and tahini and slowly add olive oil as you process. Add lemon juice and red pepper. If the mixture looks too thick, add a little extra olive oil or drizzle a little water into the mixture. Add salt and pepper to taste. Serve with cut up peppers, carrots, pita chips or my strange favorite, pretzels! This makes a great appetizer or you can spread it on a turkey sandwich on pita or tortilla for a nice portable lunch! Food Network is heading back to school and pulling up a chair to a lunchbox communal table. Here are some great options from some great bloggers for little kids (and big ones too!) for brown bagging to school or work.